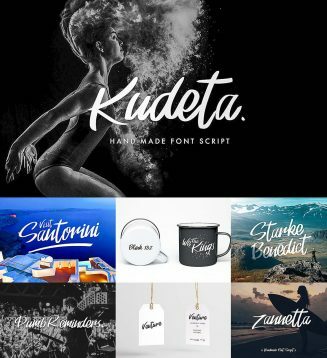 Inroducing Kudeta- stylish hand written script. Best match for logos, header, titles, prints and other creative process possibilities. Tags: brush, hand made font, lettering, script, urban font.